Rabbit Hayes is dying, and she's only got a few days left to sort out loose ends, the most important of which is the fate of her twelve-year-old daughter, Juliet. Thankfully, Rabbit isn't alone; her cheering squad includes her tough-as-nails ma, her frazzled but well-intentioned sister Grace, and her man-child of a brother named Davey, among others. To add to the mix, the one great love of her life, Johnny Faye, won't quit haunting her dreams. Surrounded by love and ample good humor, Rabbit faces the physical and mental anguish of terminal cancer and what her death will mean for those she leaves behind. I knew from the get-go that The Last Days of Rabbit Hayes would not be in my typical wheelhouse. I've been making an effort to read outside the box this summer and, having had some very good luck with it so far, I thought there was no better time to give something different a spin. As you might expect, a book about a dying woman can be devastating to read, but McPartlin succeeds at lightening things up with a mix of black humor and genuine optimism. Some of the character arcs are predictable and others just this side of improbable, but I never once doubted the family's depth of grief and their resilience in pulling through the loss of their daughter, sibling, mother and friend. Rabbit was a journalist before falling ill, and the book includes a few posts from a blog she began to chronicle her journey with cancer. These were a wonderful insight into our titular character's strong and confident nature, and I wish there had been more of them. Unfortunately, the parts that didn't work as well for me overshadowed the parts that did. I expected some graphic scenes (it's set in a hospice, after all), but there was way too much attention devoted to the state of Davey's bowels. I'm not anti-toilet humor, but I don't need it every fifty pages. There were also a few references to sexuality and fetishes that struck me as disrespectful and out-of-keeping with the rest of the story. It's possible I was being overly sensitive, but it stood out, especially because it didn't appear to add anything to the narrative. I know this book would be excellent for a certain type of reader—the general consensus on Goodreads agrees with me there—but that reader just wasn't me. If you enjoy poignant and ultimately hopeful family stories with a bit of black humor (and more than a few poop jokes), this could very well be your bag. 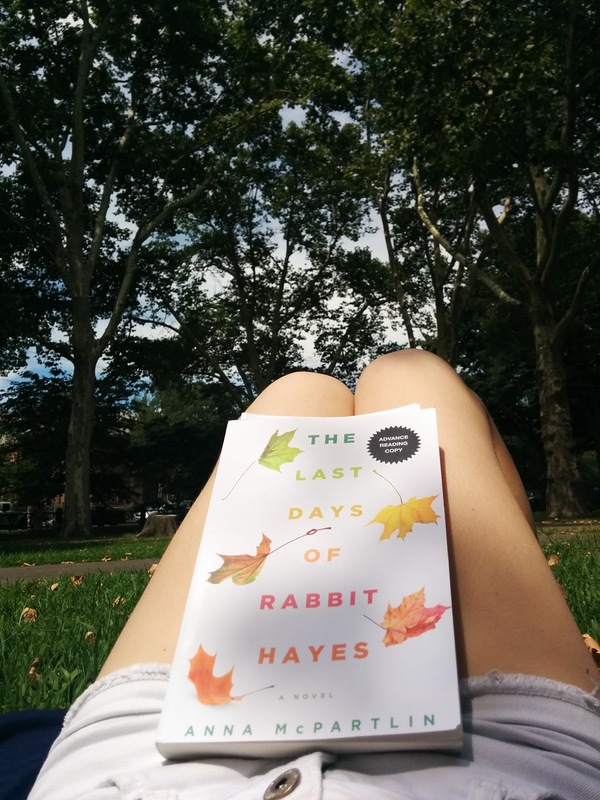 The Last Days of Rabbit Hayes was released in the United States on August 4. Disclaimer: I received this book through the Goodreads First Reads giveaway program for review consideration. Thanks so much to Goodreads and St. Martin's Press for the chance to read it!